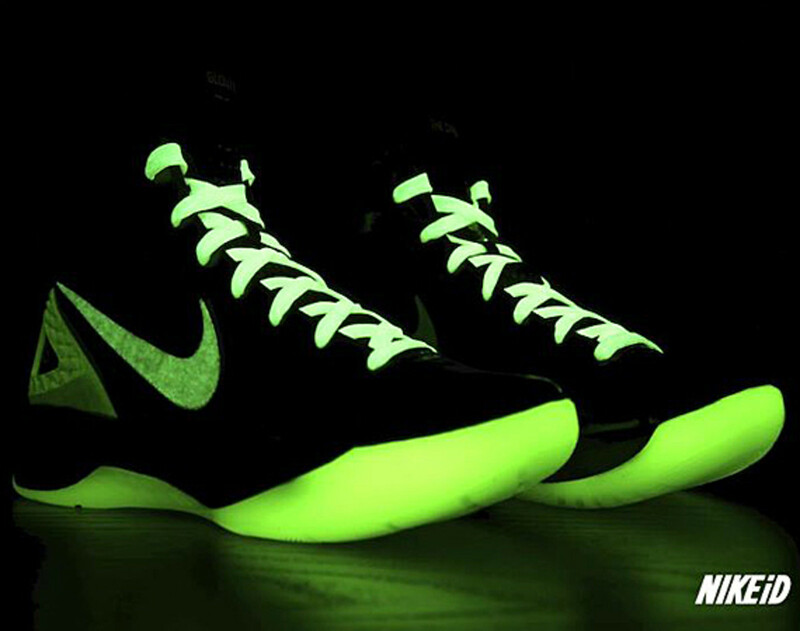 Not known by many, one design alternative for the Nike Zoom Hyperdunk 2011 iD is the addition of glow-in-the-dark accents. 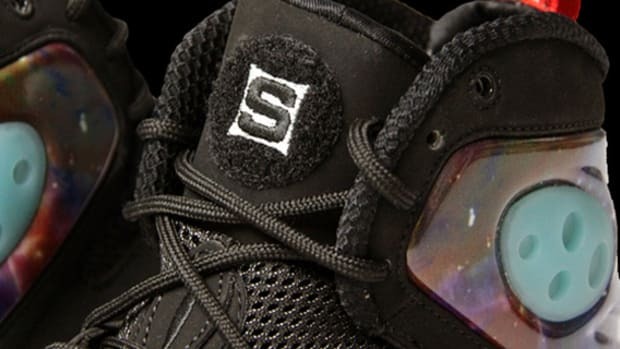 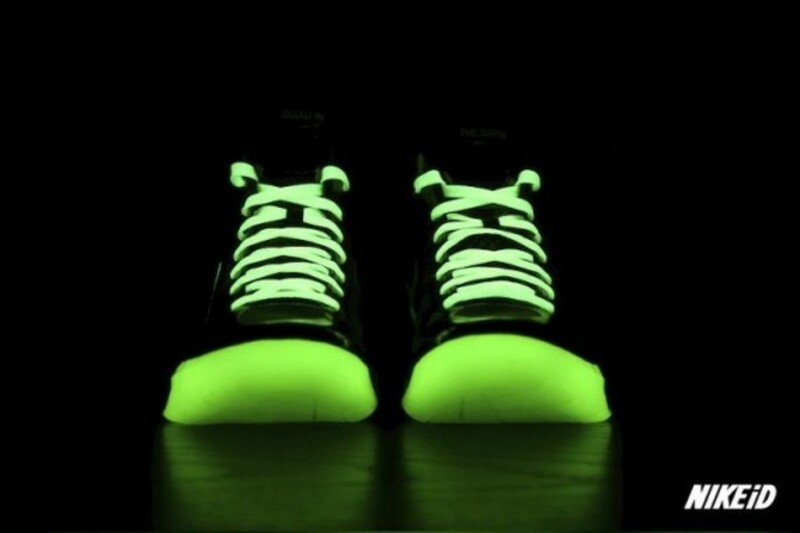 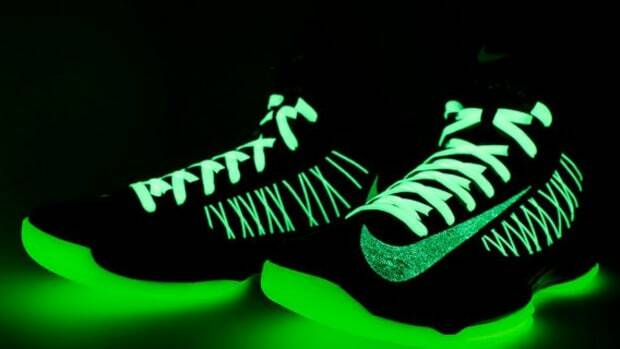 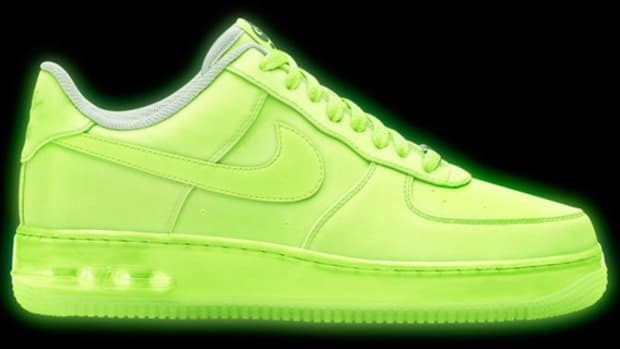 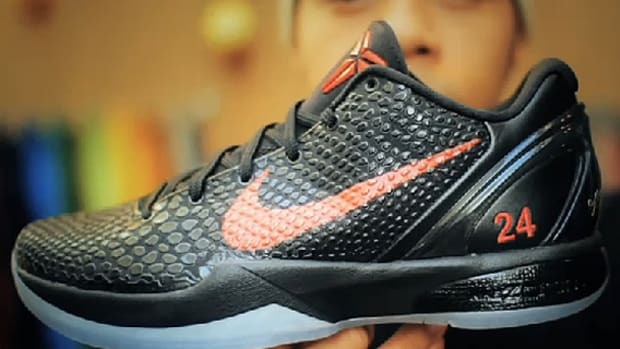 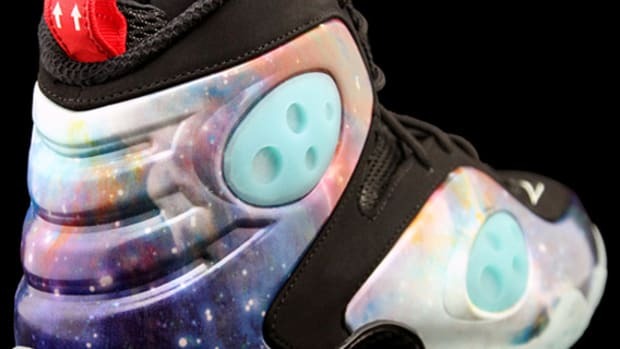 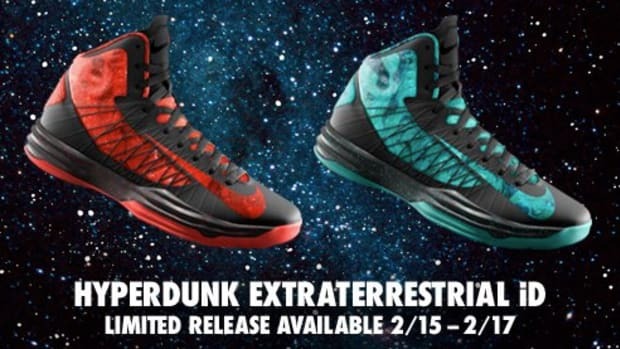 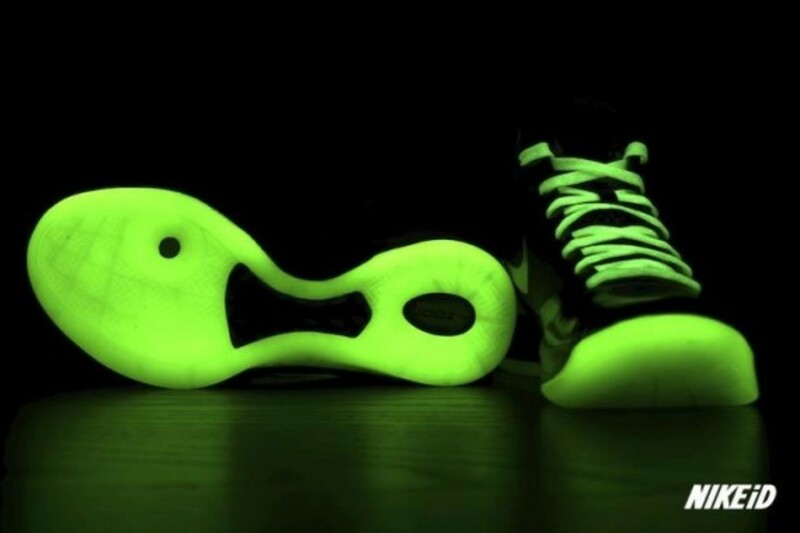 Not just the outsole, as typically found on other GITD designs, but the laces, heel clip, and Nike Swoosh as well. 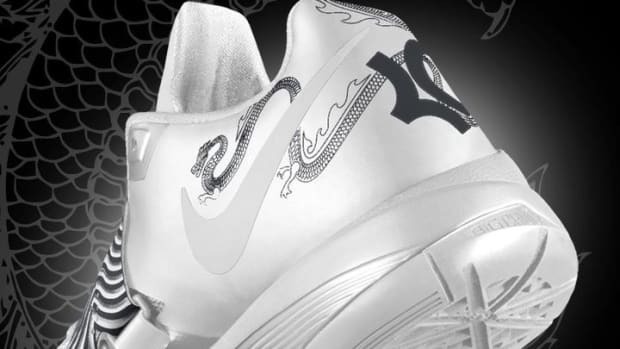 The option is exclusively offered through NIKEiD online store.